Fabrication Center: RhinoFAB 600, 900, 1100 and 1400. The RhinoFAB Fabrication Centers allow you to take input from our PartnerPak Studio and Glazier Studio program and then process the material through the Fabrication Center. 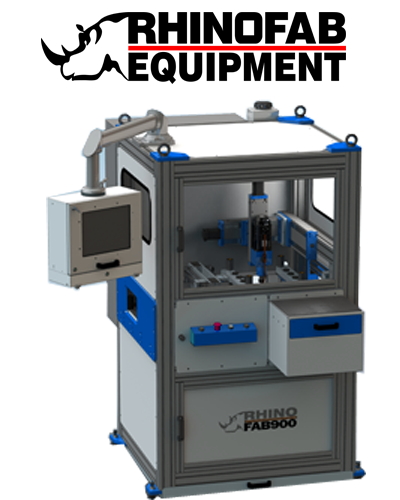 The RhinoFAB 600 can cut and drill the fabrication holes on standard storefront and curtain wall systems. 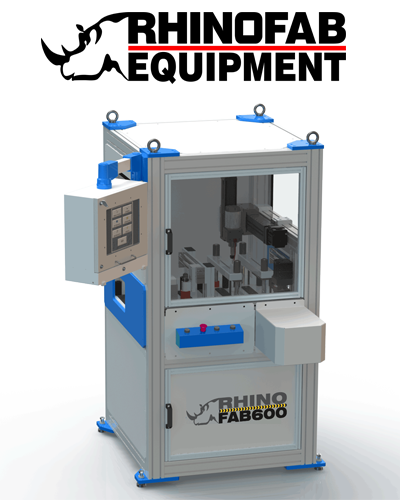 The RhinoFAB 900 can cut, drill and light rout storefront and curtainwall systems. 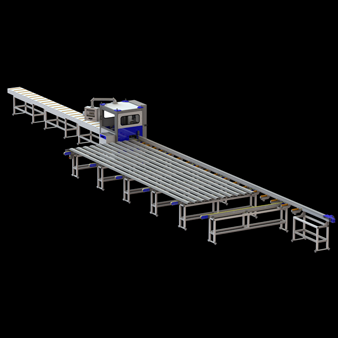 The RhinoFAB 1100 has the same drilling and routing of the RF900 and adds a downcut miter saw. 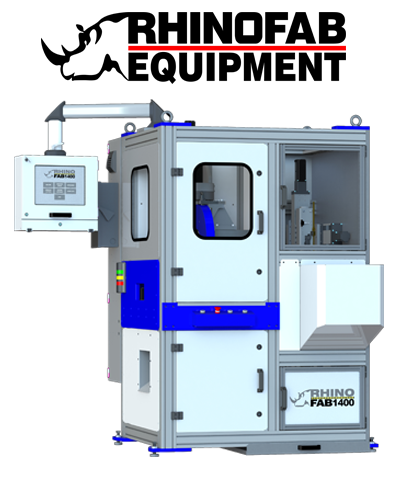 The "NEW" RhinoFAB 1400 adds a fourth axis for drilling and routing, allowing for the bevel and miter cut functions for window and sash manufacturing. RhinoFAB 900 Storefront and Curtain Wall Fabrication Center. 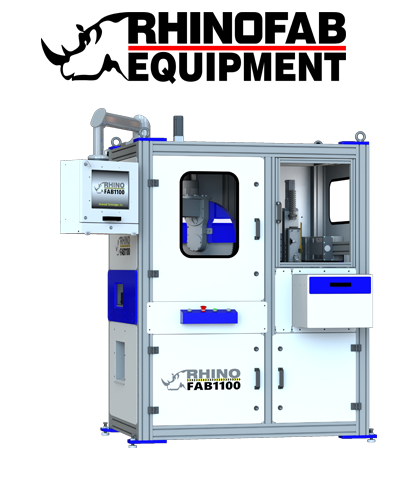 RhinoFAB 1100 Storefront and Curtain Wall Fabrication Center. RhinoFAB 1400 Window and Sash Fabrication Center.